Faced with buying a new mattress two years ago, I uttered these words to Mrs. Frugalwoods and then embarked on a frugal slumber experiment. My goal was to see if my wife and I could buy a mattress online, save tons of money, and still get a great night’s sleep. Let’s start at the beginning. 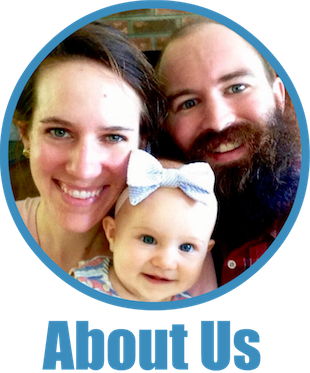 Mrs. Frugalwoods is what we would lovingly call an “active sleeper.” She is a tiny woman with powerful kicking legs. Must be all that yoga. We had a double bed for the first several years of our marriage and I have the scars to prove it! So when we moved back to the Northeast a few years ago, getting a bed large enough to provide Mrs. Frugalwoods with room to roam and myself to sleep without being pummeled was on the top of my list. And holy mother-of-pillowtop are king sized mattresses expensive! This low-end tempurpedic is $2,400! Our car isn’t worth $2,400! The Mrs. and I saw those prices and were not impressed. 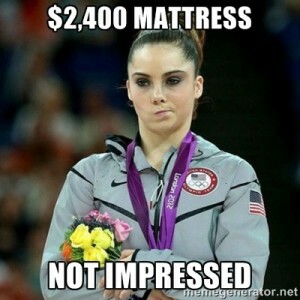 It also quickly became apparent that mattresses are extremely profitable and sold in a manner similar to used cars. I do not need a salesperson to assist me, thank you very much. But we really needed a mattress. So we made a list of our snoozing requirements and asked the internet. What did we want in a mattress? Firm with good back support. I’m not a fan of super soft mattresses. If it feels like a cloud, my back will be sore in the morning. Foam instead of springs. Our first mattress was a spring mattress and it eventually became pokey in spots even though it wasn’t cheap and and we religiously rotated it. A solid return policy if we slept on it for a couple of weeks and decided it wasn’t for us. I may be cheap but I want to sleep! 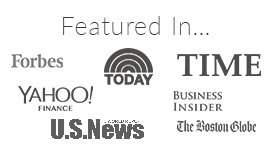 Good reviews from people who like firm mattresses. I don’t buy anything without first reading reviews from others who have gone before… and I felt like mattress shopping shouldn’t be any different. King size without a king sized price. Under $500 was the goal. We buy a lot of household items on amazon.com anyway (gloves for hound teeth brushing, for example) so it was a natural place to start looking. Turns out, they have an entire mattress section. Go figure. After reading through a bunch of the firm mattress reviews, we settled on the LUCID 8″ Memory Foam Mattress. It checked all the boxes and 2 years ago was only $279 for the king size. Budget score! Plus, and this is the really crazy part, Prime Shipping! That’s right, Amazon shipped a king sized mattress to our door in a mere 2 days from ordering it, FOR FREE. When it arrived, we warily eyeballed the heavy, awkward, long tube that the mattresses was vacuum packed into. The box was plastered with warnings to put the box in the room where you want the mattress before opening it and releasing the tightly coiled foam. We carefully put the box in the bedroom and then slit the straining plastic holding back the surging foam mattress. As dramatic as it sounds (and as we had imagined it), in reality the foam just slowly unrolled itself and started gaining the shape of a mattress. Totally anticlimactic. Did it smell a little “new car-ish” (for lack of a better term)? Yes, but it wasn’t overwhelming. The box suggested leaving the windows open for a few hours while the foam attained its shape. We opened the box when we got home from work and by the time we were ready to go to bed, the smell was no longer noticeable. This is not my hand, but it could be. It’s nice! So how does a $279 mattress from the internet feel? Ridiculously nice. I actually remember chuckling as I lay down for the first time. We picked the 8″ version specifically because it was the firmest (they also make 10″ and 12″ which are softer) and wow does it deliver. Firm but comfy and extremely supportive of our backs. Two years later, internet mattress is still firm and supportive! Since this mattress has foam layered in a specific order, you can’t flip it but you can rotate it. We do that every 6 months to try and keep the wear level the same. So far I haven’t noticed any significant settling of the foam. One of the things I was most concerned about was how it would feel during the summer. I’d heard from some people that memory foam can hold the heat next to your body. In practice we haven’t noticed any additional heat. In short, it’s been a great mattress and we expect to get many more years of good sleep on it! Over the past two years, I’ve evangelized buying a mattress from Amazon to coworkers and friends, several of whom have bought the same or similar mattresses. So far no complaints! Take a look at the Amazon mattress section, in particular the Lucid foam mattress, and keep it in mind the next time you’re in the market for a bed. Note: I bought the mattress with my own money. No one paid me to do this review, I just think it’s a pretty awesome way to save money. 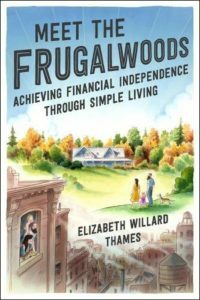 The links to the mattress are affiliate links, which means if you also score a deal on a great mattress, Amazon will pay the Frugalwoods Family a small percentage of the sale. 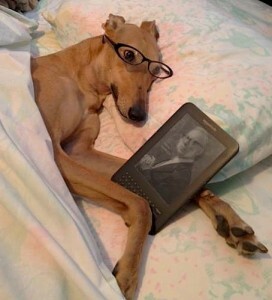 Frugal Hound thanks you in advance! First of all, your dog is amazing. Second of all, I love to search for large, ridiculous items on Amazon just to see what Prime covers. They had a hot tub on sale recently that qualified. I have no desire for a hot tub, but it’s a nice reminder that Amazon can handle most of your needs. Hey Thanks! It’s true that the uniformity of Amazon prime must be a loss leader in some categories. I’ve seen heavy things, like ovens, with prime shipping. I don’t want to know what it actually costs to send something that heavy with 2 day service! I have had some chronic back pain issues in the past, so I’m super particular about mattresses. That being said, it sounds like you got a great deal. You obviously like your mattress and saved a ton. Go you! My back is pretty touchy too. We should start some sort of financial blogger sensitive back club. We could trade tips on standing desks! Mrs. Frugalwoods and I had shopped for traditional mattresses before, so we knew there were options if this didn’t work out. We just thought that for so little… it was worth a shot. And we were happily surprised! Your dog is adorable! Amazon can be pretty amazing sometimes, huh? And Prime is 100% worth the annual cost. Great job with saving on the mattress. We do fine prime to be a good overall expense. Especially when you consider the savings in gas from making trips for random things. We haven’t been in a target in at least a year. Better for our sanity too! Man, I wish you’d written this six months ago! I finally bought my first mattress back in January and it was more of a task than I’d thought. I’d lived in places that supplies mattresses for me up until then or stayed with my parents on the world’s most uncomfortable twin bed mattress from my childhood – lumps and all. Every mattress I’d ever had stunk, so my only requirements were that it be comfortable and at least queen sized. I was pretty pleased to find one at $550, but your experience sounds even better. If I ever do find a place big enough for my dream mattress -a king sized one – I’ll remember to check out Amazon! Wow – thanks for this! I would’ve never taken a chance on buying a mattress for $279, thinking for sure something must be wrong. Awesome! I definitely felt I was rolling the dice. But the difference in price was so much I felt it was worth the risk. Plus Amazon is good about taking things back, so I felt I had an escape hatch if needed. Thanks for saying hi! Just followed you on twitter, love your stuff! Love your doggie! Is he a rescue? It is hard for me to turn in a memmory form mattress when you have back pain. I sleep on the floor on those days. I bought this set from Amazon (free shipping) 8″ Night Therapy Memory Foam Mattress & Bi-Fold® Box Spring Set. I’ve been very happy with it. The only problem that I have encountered is that I cannot locate sheets for an 8″ mattress for a reasonable cost. I don’t want microfiber and would like 100% cotton. Bed, Bath, and Beyond does sell individually (not as a set) but if I remember correctly it was about $50 per sheet; yes, I do have their coupons. But I am frugal. When I have time, if ever, I’m thinking I’ll cut down the queen fitted sheets that I have. I downsized from queen to full. The flat sheets will work as they are but I do like a nice snug fitted sheet. Please share if you’ve located sheets that fit an 8″ mattress. I’m very happy with this mattress purchase and would do it again in a heart beat. PS – no odor with this mattress. Vermont Country Store sells sheets for the thinner mattresses. They are called Clothesline Crisp sheet set. They come in the thicker style, and the slender. On my phone I can’t find the thinner style, but if you go online or call them you can find them. I love my set….they have that crisp, right from the clothesline feel. Not as cheap as bargains from box stores, but worth it for a nice fitting sheet. Thank you, Morgan! I just ordered them! Great…I think you will be happy with them! Great post! This sounds like our exact story – but our happy ending is still TBD. My wife has back issues and I move a lot while I sleep. We’ve been doing a ton of research and have decided to order the 14 inch Lucid mattress after reading countless reviews. But after being burned by other mattresses we’ve been scared to pull the trigger. Do you know anyone who has returned a mattress through Amazon? Is it as easy as they claim (no cost, scheduled pick up within 30 days of receiving it)? That same mattress you bought 3 years ago now, is now $360! Still not a bad price. I paid $800 for my queen pillowtop mattress at Ashley furniture 4 years ago. I still love it and thought it was a decent price but under $500 for a king is great! Did you buy a box spring with it? Wow, there are plenty of really nicely priced options. I bought my futon online years ago – I learned while in Japan that I like sleeping on them better than Western-style beds. My back pain disappeared! It came in an awkward roll and was tough to release, but since then it’s been a great way to sleep. It’s getting old and worn out though, and might need replacing – perhaps one of those foam mattresses would do the trick! I bought a latex mattress topper online when I was pregnant-best and cheapest way to spruce up an old matress-I love it! I am glad I came across you post as I am currently looking for a mattress that will not break the bank. Thank you. A nice blog post, thanks. Mattresses are such a personal thing, but there certainly are many decent options on Amazon. This bed seems like the perfect solution for us! May I ask what kind of frame you went with and if your mattress uses regular sheets? (I’ve never not had a coil spring mattress) Thank you!! We love this mattress! It does use regular sheets and you’ll just need a frame that has slats since there’s no boxspring. Can we put this on top of a box spring? I suppose you could, although it’s not necessary. But I don’t see why not! Each of you needs to slap me, hard. I’m a frugal newbie (started in early 2016), but I still have so many “frugal fails”. I hate debt and never take out loans to buy anything. It’s cash or nothing- I’ll use a credit card to pay, but the money is in the bank to pay the card off straightaway. Ahem. Except my insane bed. For which I have no excuse, except telling myself that I “deserved” it. And it was 2014, before I had realised that materialistic goals were part of my malaise. Anyhoo- prepare the slaps- I spent £5,000 on my bed (base and mattress). And it’s lovely, but it’s started to sag in the middle because it’s filled with wool, and becoming a bit uncomfortable as a result. And I’m ashamed enough already for spending such a stupid, self-indulgent amount of money- so I can’t even admit this to anyone. Except you, and your frugal community. Is there an emoji or symbol for a face-slap, anyone? We just purchased the 10″ version of this mattress for our college age daughter in her first apartment. I’m happy to report that when we first price-checked it on Amazon it was at $238 and had reduced to $218 when we purchased it. She’s been sleeping on it for about 4 nights now and has mentioned that it’s a bit firmer than she is used to but she knows she will adjust to it. Thanks for the great tip! I so much appreciate your blog and advice. We just moved and got this same mattress. We LOVE it! Comfort and price. Thanks for your review. We tried to follow your link in the article for purchase. College kid love this mattress in Twin XL! His dorm mattress was horrible so we bought the Lucid Memory Foam 8″ for $89. It came all rolled up in a box that he could fit into his car. He says he is sleeping much, much better now and for the price you cannot go wrong! just found your blog last week and i’m absolutely loving it. i just bought the same mattress in January and love it, the amazing price especially. I was horrified by mattress store prices too… glad to see your long term review that it has held up for you guys.